For over a decade, the musicians of West Head Project have been encouraging a culture of listening and making music outdoors. These events help to raise awareness of different acoustic ecologies and provide a relaxed context for enjoying music. The group takes it’s name from West Head in Ku-ring-gai Chase National Park, Sydney, where their initial events took place. Since then they have presented events around the country including on top of Mt Wellington for Mona Foma in Hobart, and at the Balance-Unbalance and Floating Lands festival in Noosa, and in the Grand Canyon of the Blue Mountains National Park. Their CD, A Closely Woven Fabrik, documents an event on Maria Island off the east coast of Tasmania where they were artists-in-residence for the Ten Days on the Island Festival in 2009. In 2014, they released Drip, a recording made at Kings Cave in the Blue Mountains. Follow the links below to listen to recordings and an ABC radio documentary about the group. LISTEN to ‘drip‘ by west head project – recorded at King’s Cave, Blue Mountains National Park, Linden NSW in 2014. With Jim Denley, Matt Earle, Anthony Magen and Dale Gorfinkel. Kindly released by End of the Alphabet Records. For a number of years as West Head Project, we’ve been making site specific sound events and recordings at outdoor locations – initially these were held at West Head in Ku-ring-gai Chase National Park. We’ve gone on to play in special sites around Australia and this disc documents our work on Maria Island off the east coast of Tasmania where we were resident for 10 days, guests of 10 Days on the Island Festival and Parks and Wildlife Service Tasmania. Auditory transmogrification of Tasmanian terrain onto disc, Closely Woven Fabrik adds improvisations from three Australian musicians to field recordings, subtly altering the real-time resonance as it’s captured. 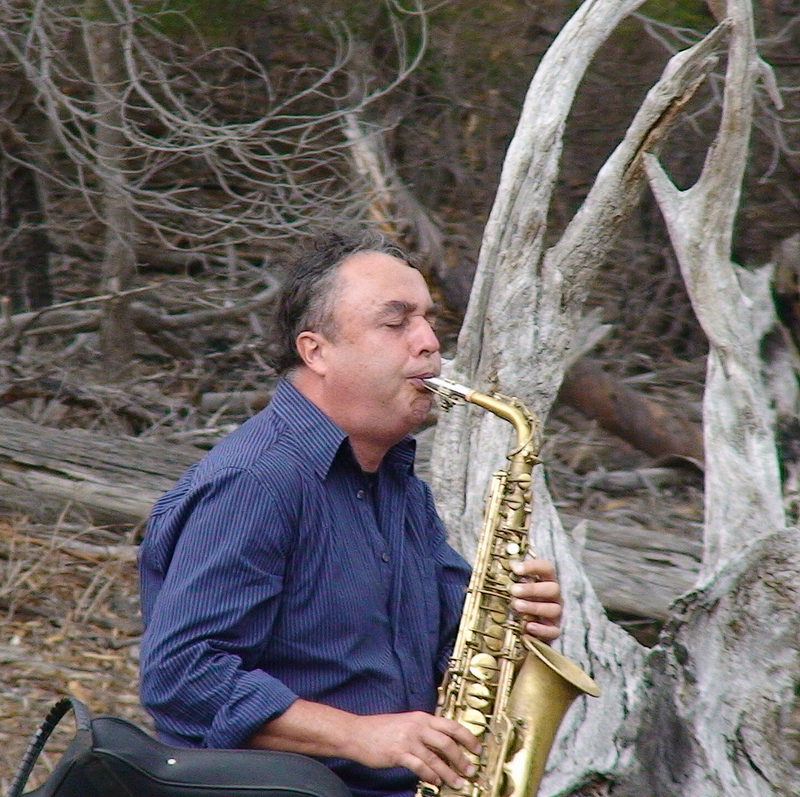 While recordist Anthony Magen encapsulates the wild and domestic sounds resulting from a guided soundwalk taking place on Maria Island, near Tasmania’s east coast, reedist Jim Denley, accordionist Monika Brooks and Dale Gorfinkel’s prepared trumpet, roots percussion and automated sonic contraptions add ingenious grisaille to the proceeding. The three-track CD creates a soundworld which is so complete onto itself that applause from the assembled audience, heard on the final track, comes as a shock. Ken Waxman – Jazz Word. Part 1 (spruces) has Dale’s automated sonic contraptions installed in an avenue of mature trees that lead from the jetty to the former convict settlement of Darlington. His tones are woven with waves from the beach, raucous Cape Barren Geese, Monika’s accordion and my bamboo flute. 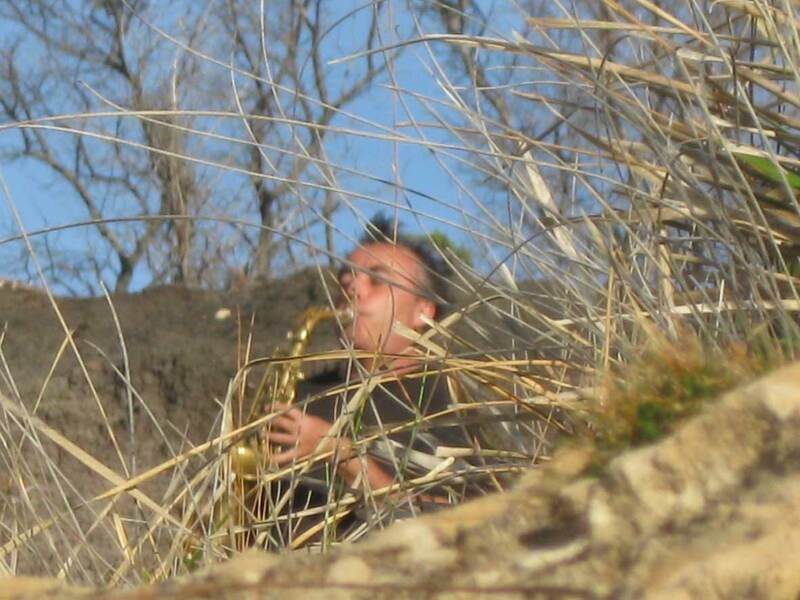 Moving across a ridge to the next valley (roots) Dale plays on dried upended roots as my saxophone engages with the forest acoustic and a distant motorboat. We end (glade) with audience and band sitting on the ground in a grassy glade. Jim Denley 2010. Out Hear acknowledges the traditional custodians of these lands & pays respect to indigenous elders past & present.